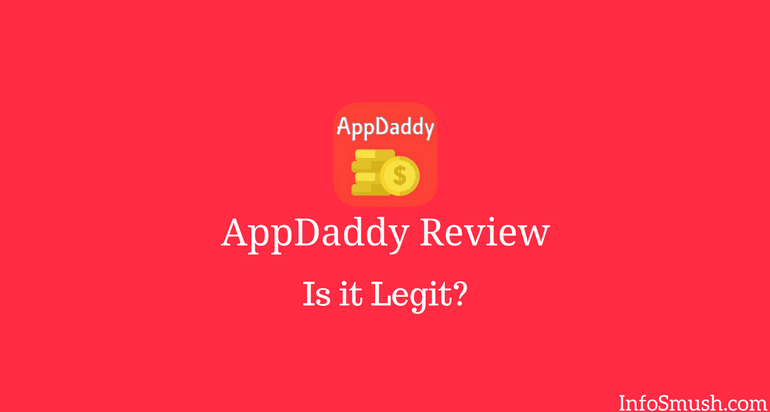 AppDaddy Review: Is It Legit or Scam? AppDaddy is a new app for Android users which they can make money with. This app has just been released and in this review, you'll learn everything that you want to. With the lucky spin, you can win up to 8 points and 2 spins. Your first 2 spins will be free and after that, each spin will cost you 5 points. You will earn 50-25% of your referrals earnings and your friends get 25 points when they enter your referral code. You can redeem your points for PayPal cash. Minimum redemption is 3,000 points for 10$. Users from Germany can redeem their points for gift cards like Amazon, PlayStation, PayPal League of Legends Riot Points. Like I mentioned above AppDaddy is new. It's just been 6 days since its launch. Although it looks promising, I can't say anything yet. It would better to wait and see how things turn out. I'm not saying that it is a scam. What I'm saying is: wait for a few weeks before you invest your time in AppDaddy.